Blood transfusion is a necessary treatment for many medical conditions, including blood disorders, cancer, surgery, trauma and childbirth. The diagnostics group have several ongoing projects in progress to aid different aspects of the blood transfusion industry. Our goal is to ensure testing is low cost, rapid, easy to use and accurate. The GLIF (Group Legible Immunohaemetology Format) has been developed by the diagnostics branch of BioPRIA. This product is now available from Haemokinesis. All it takes is a drop of blood, wait for 60 seconds, wash until the background is clear, then simply read the result. To further develop our understanding of paper diagnostics the fundamental wicking process in paper is being investigated. This information will ultimately be essential in the design of future diagnostics. Different fluids including biologicals are being investigated using high speed cameras, to observe and consequently model their movement through capillary action in paper. 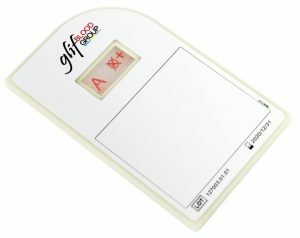 Current blood typing technologies use gel cards. In these cards the testing reagent (antisera) and red cell solutions are allowed to interact, followed by centrifugation. 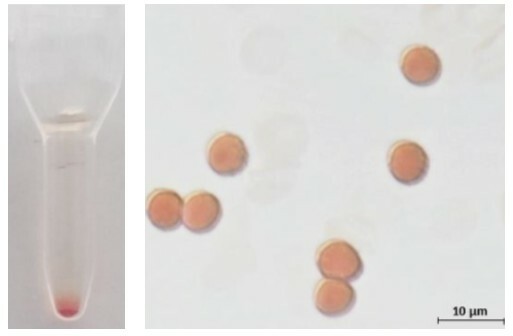 Agglutinated cells remain at the top, while individual cells will spin down to the bottom. 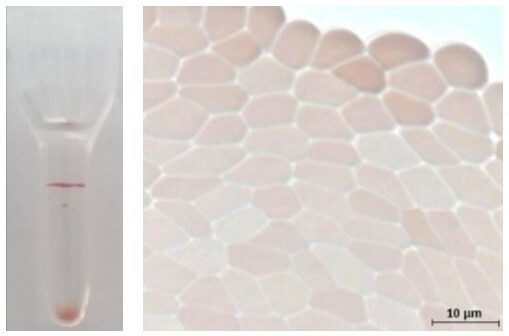 BioPRIA has succeeded in producing a suitable alternative with the cellulose gel (see figure) we are now investigating the binding of antibodies to the cellulose, for future diagnostic products. Red blood cells are not only necessary for transfusion but also as a reagent for laboratory testing. When refrigerated, these cells currently have a storage time of 42 days. In the laboratory setting this means that blood is required to be donates on a monthly basis to keep up supply. BioPRIA is investigating novel methods for long term storage of these cells. In addition, BioPRIA is investigating methods to shorten the time of pre-transfusion testing to ensure that transfusions can occur safely in a more time efficient manner.